‘There is so much energy in the air that I cannot wait for the celebrations to begin,’ All Indo Bollywood Awards jury member and Managing Director of Al Bustan Group, Shahjahan, told the press today during a press conference today. 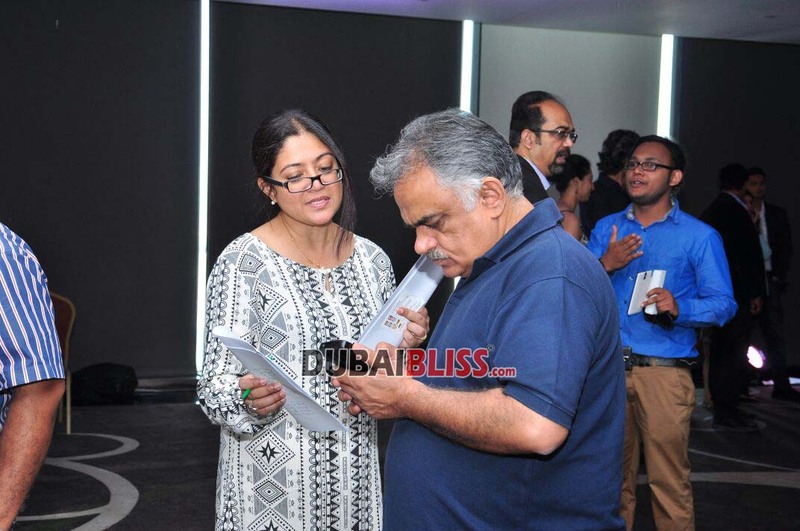 With just a day left for the first Arab Indo Bollywood awards to be held on May 29 at the Meydan Racecourse, the organisers held a press conference at Dubai’s swanky Meydan Hotel, where some of the actors performing at the event were also present. Stars of ‘Anybody Can Dance 2’, Varun Dhawan and Shraddha Kapoor, Parineeti Chopra were present along with the ‘Golden Carpet’ host Neha Dhupia and show co-host Manish Paul. Spearheaded by Al Bustan Group and Benchmark media, the AIBA 2015 will be a star studded night, featuring performances by super stars Salman Khan, Priyanka Chopra, Varun Dhawan and Parineeti Chopra among others. MD Al Bustan added that the AIBA will strengthen relations between UAE and India and the group was proud to be a part of this growth. The show’s other co-host is ace director, Karan Johar and performances are choreographed by Shiamak Davar. 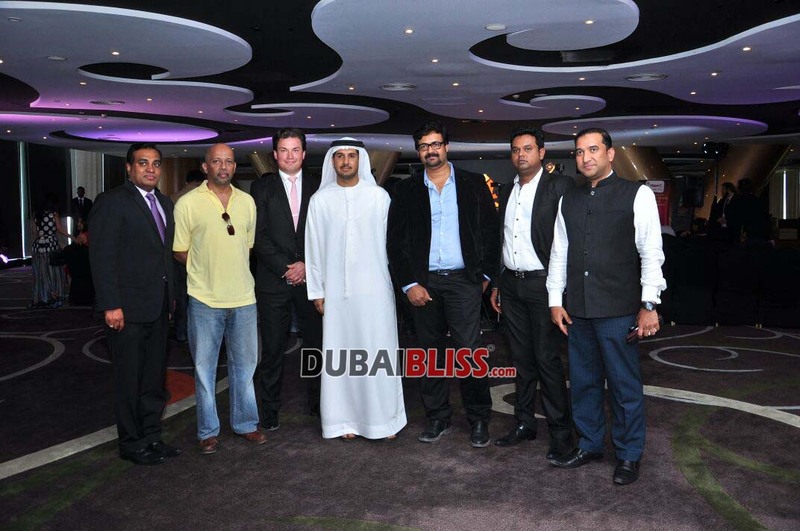 ‘The event will feature a ‘Gold Carpet’, as Dubai is often referred to as the ‘city of gold,’ the organisers explained. Commenting on what to expect from the Gold Carpet, host Neha Dhupia said that she will be using props such as a ‘magic lamp and even a date’ to make the interaction with the actors interesting. Touted as the first 3D dance film of Bollywood, the cast of Disney India’s ABCD2 (Any Body Can Dance) are hopeful that the movie will do well in the UAE despite its Ramadan release next month on June 18th. 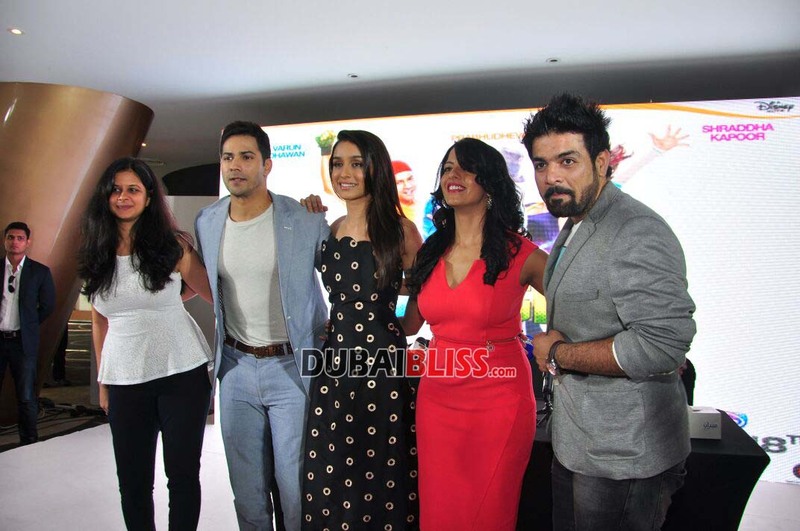 Addressing the press conference at Dubai’s Meydan Hotel, ahead of the first Arab Indo Bollywood Awards, the lead actors of ABCD 2, Varun Dhawan and Shraddha Kapoor, said that it was exciting to work with two of India’s ace choreographers, Prabhu Deva and Remo (Director). “Prabhu Deva is the ‘Sachin Tendulkar’ of dance,” Varun said, acknowledging Deva’s dancing prowess. Talking about shooting in Las Vegas with professional dancers and groups, both the actors, Varun and Shraddha Kapoor said it was a special and fortunate opportunity for them to act in such a film where they had to learn 18 to 20 dance forms. “What happens in Vegas, stays in Vegas! Varun is a phenomenal dancer – but this is my first time doing a dance film. Prior to this I used to dance at either birthday parties or in front of a mirror,” Kapoor said. “It was a joyful experience,” Varun added, “In Bollywood films, we don’t usually get a chance to do dancing which is outside the normal framework of how we show dancing. Commenting on the international troupes featured in the film, Varun mentioned that popular dance troupe, ‘Philippine All-Stars’ features in the film, among others. 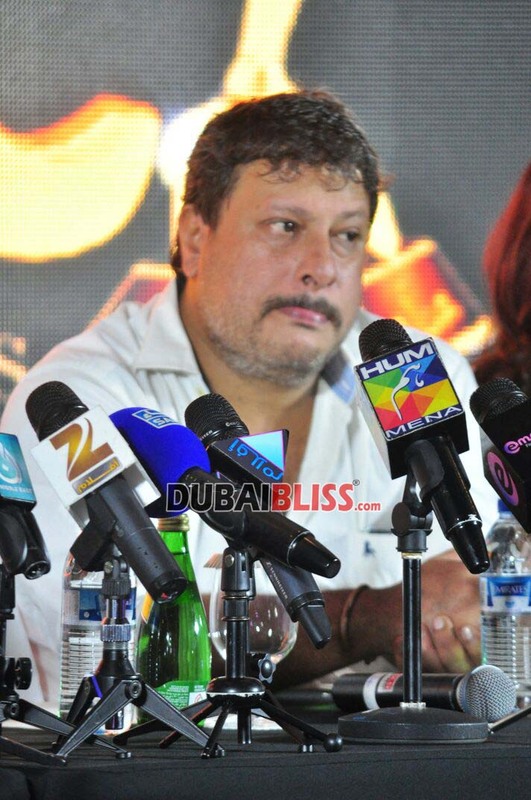 Since the film releases in Ramadan, Pandey said that UAE is a very important market and despite the Ramadan release, they hoped that people who can and would like to would come out to watch the film. “Bhaag Milkha Bhaag was released during Ramadan and did very well too,” she added. Referring to the recent spate of women-oriented films doing well in Bollywood, such as ‘Tanu weds Manu’ and ‘Piku’, Varun hoped Kapoor’s strong presence would help make this film a hit too.